A great classic of French desserts revisited. 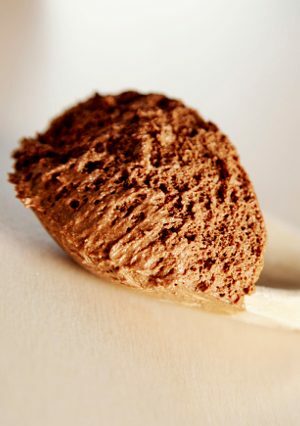 A nice recipe of chocolate mousse with olive oil, without butter and sugar. Choose a delicate fruity olive oil for a classic recipe and an intense green fruity for a surprising dessert. Enjoy your meal! Melt the chocolate in a bain-marie with the olive oil. Beat the whites firmly with the fleur de sel. Mix the yolks and melted chocolate. Incorporate the whites in 3 steps by lifting the mixture well so that the mixture does not fall back. Cool for 3-4 hours before serving. The ideal is to make the foam the day before for the next day.